This big bar of soap is made with coconut oil, olive oil, and shea butter and is fragranced in delightful vanilla buttercream cake. 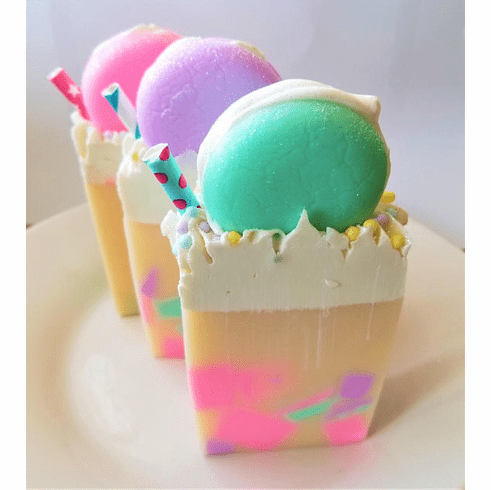 It is decorated with piped soap, sugar balls, a paper straw, and a glittery pink, mint, or purple macaroon soap (chosen randomly). Note: This is a huge slice of soap. Long lasting. Weighs approximately 7-8 ounces and will make an awesome gift or stocking stuffer for yourself or anyone else. Please remove paper straw before using.